Your afternote was more gut-wrenching / spine-chilling than the story. This post disturbed me a lot. 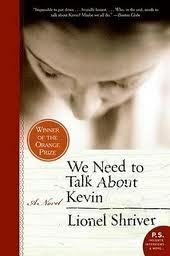 Though it is a story, I am sure there are several Evas and Kevins in the world – a saddening and frightening thought. Your afternote confirms it – more terrifying than a Stephen King story. Another overwhelming post from you. Yes what a finish. PS: Reading that email was scary – scary that I was capable of that kind of rage and behavior. Looks like this post has affected you badly. All of us are capable of that kind of rage, it is quite natural. But acting on it, that’s the scary part. I don’t usually praise Indianculture, but after reading that book, I am so grateful that we have a better support system here, a culture that sortof prevents such Kevins and Evas from growing. And 52/52 is not the end 🙂 Don’t say goodbye already.